Oncor faces customer backlash over smart meters and skyrocketing electric bills. Blame it on the weather, again. Oncor is the latest company facing a media relations firestorm over customer reports that their smart meters are overcharging for electricity. The Texas Public Utilities Commission has called for an independent verification of the meters, despite the fact that Oncor said that nearly all of the complaints, which have jumped about 10-fold since a year ago, can be explained by the unusually cold winter in Texas. The testing is expected to begin in the next few weeks. In the meantime, not all customers are buying the weather explanation. Ree Wattner of Dallas, TX, received her smart meter in late November and saw her bill nearly triple from about 1,500 kWh to about 4,400 kWh. “That’s an incredible increase,” she said, “and that was after the smart meter was put in.” Wattner is one of the co-founders of Smart UR Citizens, a consumer group that feels the higher rates are being caused by the smart meters. Oncor said that the increase in complaints isn’t just from the smart meter customers, which currently number about 760,000. Company spokesman Chris Schein said three-quarters of the 4,000 calls they’re fielding monthly are folks with traditional meters that have also seen huge increases due to the weather. He also noted that last year was a particularly mild winter, and so customers are probably seeing an even bigger jump than usual in their kWh increase from the previous winter. The Texas PUC isn’t buying the weather argument all together. The Commission responded to requests from Texas State Senator Troy Fraser and consumers for independent verification. “We’re enthusiastically supporting the testing program so that we can eliminate any seeds of doubt about the accuracy of these meters in consumers’ minds. Once we get these concerns behind us, all of us can get focused on the real cause of the high bills and help consumers address that,” Bob Shapard, Oncor Chairman and CEO, said in a statement. It seems as though Oncor didn’t learn much from Pacific Gas & Electric’s experience with disgruntled customers. Some Texans are using the lawsuit against PG&E in California as fodder for the conflict with Oncor, since both PG&E and Oncor use smart meters from Landis+Gyr. Landis+Gyr, however, denies that there is any problem with its meters, and insists that, as one of the leaders in smart meters, it is part of the solution, not part of the problem. "News reports questioning the billing accuracy of the Landis+Gyr smart meters being deployed by Oncor are wrong and misleading," said Stan March, senior vice president of corporate communications at Landis+Gyr. "In fact, Oncor has repeatedly said that there is nothing wrong with Landis+Gyr smart meters. That should not come as a surprise. Landis+Gyr is the global leader in electricity metering, having successfully delivered millions of smart meters around the world." The real cause of your high bill? Well, if you ask Oncor, it’s probably your incredibly inefficient heating system. Schein was quick to point out that the greatest percentage of calls comes from homes with electric strip heating or electric space heaters. Wattner, however, has gas heat, and said she has still seen her bill double (though she admitted to having a few space heaters around). Oncor said it has not found a single smart meter yet that is not measuring accurately. But that’s not entirely true. 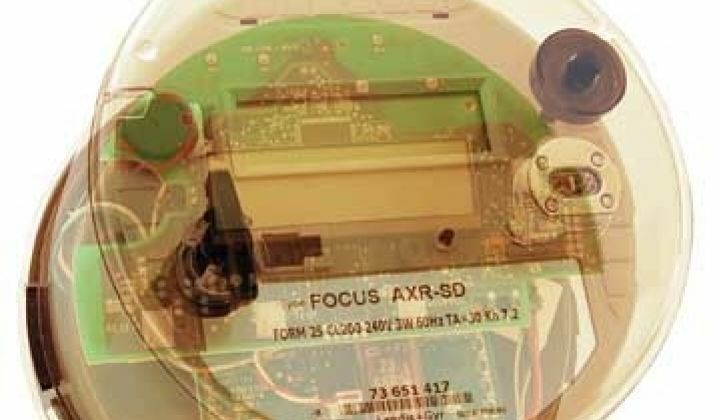 Up to 1 percent of smart meters may have an installation error, according to Oncor. If those numbers are accurate, that means between 3,800 and 7,600 people could have possibly seen higher bills that are due to human error. Although those smart meters can be fixed, that’s still a lot of angry people. Wattner is still not convinced that weather and human error are enough to explain the bills and her group will begin canvassing neighborhoods tonight to see who else is angry about their smart meters. “The fact that it’s human error is propaganda,” she said. While Oncor plugs along with its side-by-side meter comparison, it looks as though customers are just getting more irate. Even if Oncor doesn’t uncover a single inaccurate smart meter (which it said it had not found from preliminary data of the most recent side-by-side comparison), it will definitely still have to contend with a lack of consumer confidence that could mar the rollout of the rest of the company's smart meters.